"We make our divers safer, so they can stay longer and go deeper." determine where the body gains or loses heat in different water temperatures. muscular Navy divers, all volunteers, file carefully through the first two interlocking pressure chambers on their way to "Charlie" chamber. From there they will climb down into a cylindrical, water-filled chamber — large enough to house a school bus — that constitutes the base of the U.S. Navy Experimental Diving Unit's (NEDU) Ocean Simulation Facility. Once they're submerged in the wet pot, the dive watch supervisor in the control room will press the divers to 200 feet, where they'll complete a 40-minute dive while pedaling cycle ergometers (stationary bikes). They will then decompress for nearly two hours according to the MK-16 trimix table, which is 15 minutes shorter than the corresponding decompression schedule for heliox and allows initial ascent to the first decompression stop at 70 feet (the first deco stop in the heliox schedule is at 90 feet). After surfacing, the divers will be monitored for signs and symptoms of decompression sickness (DCS). Because helium, which is nonnarcotic (unlike nitrogen), is believed to have faster tissue uptake and elimination than nitrogen, existing decompression models (including Albert Bühlmann's algorithm, popular with technical divers) assign deeper stops and correspondingly longer decompressions the greater the fraction of helium in the breathing mix. This is sometimes referred to as the helium penalty. A Navy diver in the NEDU test pool performs an exercise during a physiology study. 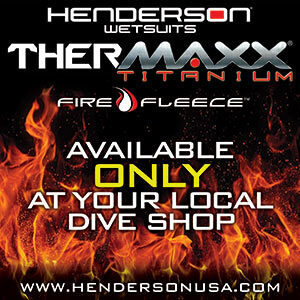 If the models are correct (that is, if decompression with trimix is more efficient than heliox for bounce dives), NEDU scientists would expect to see a higher incidence of DCS in the heliox dives in the study than in the trimix dives. But lead researcher David Doolette, Ph.D., who is also an underwater cave explorer, is not convinced that's what they will find. NEDU researchers developed heliox diving in the 1930s as part of the command's initial mission. Their goal was to find a way to limit the debilitating effects of nitrogen narcosis to make it possible to rescue crews from downed Navy submarines. They hypothesized that helium would require less decompression than nitrogen, but their early tests concluded otherwise. With the successful rescue of USS Squalus survivors in 1939, heliox became the Navy's standard breathing mix for deep diving. In recent years the Royal Canadian Navy and others began trimix research programs, in part due to high helium costs, and invited the U.S. to participate. Doolette and colleagues Wayne Gerth, Ph.D., the head of NEDU's decompression team, and Keith Gault, however, convinced their sponsor that the program would make sense only if trimix offered significantly reduced decompression times over heliox, a claim that had never been tested. They designed the experiment accordingly. The results? The four Navy test divers successfully completed their dives. Over the next nine weeks a total of 32 volunteers conducted 50 heliox dives without incident and 46 trimix dives with two diagnosed cases of DCS. Statistically that means that the researchers must retain their null hypothesis: Trimix decompression is not more efficient than heliox; existing models require revision. It's not the first time that an NEDU experiment has refuted legacy diving practices or beliefs. Experimentation is at the heart of the enterprise that is NEDU (pronounced N-E-D-U), which traces its scientific heritage back to the Navy's first experimental dives, conducted by Chief Gunner George D. Stillson in 1912, to test John Scott Haldane's decompression theory. Located at the Naval Support Activity Panama City military base in Panama City Beach, Fla., the NEDU's mission is to develop solutions to support and improve the fleet's diving and other manned undersea operations through research, development and independent testing and evaluation of equipment and procedures. Think of it as the brain trust meets geek squad of U.S. Navy diving. Since its inception in 1927, NEDU, along with the diving biomedical research and development division of the now defunct Naval Medical Research Institute (which NEDU absorbed in the late 1990s), has been responsible for a disproportionate share of advances in decompression procedures, mixed-gas diving, underwater breathing apparatus (UBA) engineering, saturation (SAT) diving and our knowledge of diving physiology. In terms of quantity and significance, no other institution can claim a more distinguished record of contributions. NEDU's collected works, which include more than 1,000 technical reports and innumerable scientific papers, most unclassified, embody the intellectual and technology infrastructure used by practically every diving community today. For much of its history NEDU's research focused on issues facing tethered divers conducting surface-supplied and SAT diving, which was of critical importance during the Cold War. Over the past decade and a half, however, the growth of special operations has caused the diver-driven command to turn its attention to the problems encountered by free-swimming divers, which represent half of the fleet's 5,000 divers. NEDU’s Executive Officer LCDR Steve Duba stands in the open wet pot of the Ocean Simulation Facility. "We're pushing the envelope on gases, depth and gas switches, mostly with closed-circuit rebreathers," explained Lt. Cmdr. Steve Duba, an Explosive Ordnance Disposal (EOD) diver, who serves as NEDU's Executive Officer (XO). "It's special mission support. One of our priorities is keeping divers warm in free-swimming situations. There's also a push to go deeper, and we're looking at developing the tables and gear to support that." Surface-based dives on the MK-16 are currently limited to 300 feet (open-circuit dives are limited to 190 feet). If you're wondering what the future holds for U.S. Navy diving and, by extension, diving as a whole, consider this: It's being invented right now at NEDU. Walking down the long beige cinder-block hallway with brown-flecked linoleum flooring and black-and-white pictures of famed alumni, passing clean-cut young men in khaki short shorts and blue NEDU T-shirts, it's easy to imagine you've entered a 1950s parochial school rather than dive geek heaven. Diving is, in fact, regarded with near religious fervor here. You could say NEDU was created by divers, for divers. Its 120 employees, including nearly 35 civilians, comprise a unique team of military divers, diving medical officers (DMOs), scientists and engineers. In addition to the leadership drawn from officers in the fleet's 20-some diving communities — including Sea-Air-Land (SEAL) Teams, Fleet Divers and EOD — there are six DMOs, nearly 25 scientists and engineers and 50 First Class Navy divers, who serve as test subjects and maintain the facility and equipment under the supervision of a Navy Master Diver. The depth of knowledge is palpable. "I've been in the Navy for 29 years, and this is the best command I've served in," said Project Officer Capt. Edward "Andy" Woods, M.D., a former SEAL Team medical officer. "There are so many exceptional individuals — the best of the best. People come here because they're passionate about diving; they couldn't do this anywhere else." NEDU focuses on improving diving safety and performance. About 30-40 percent of its $10 million annual budget is reimbursable for the work conducted on behalf of its sponsors, which include the Office of Naval Research, Naval Special Warfare Command, and Submarine Escape and Rescue (part of the Naval Submarine Medical Research Laboratory), as well as other branches of service such as the Air Force. Its investigations range from basic and applied biomedical research to addressing the specific operational needs of warfighters. Sometimes that involves Einstein-meets-MacGyver solutions. NEDU also tests and certifies all of the equipment used or being considered for use by the Navy diving community; its unique unmanned test facility is capable of subjecting gear to depths of 730 feet in cold, hot, fresh or salt water. In addition, it conducts all diving accident investigations involving federal employees, which have numbered close to 100 in the past decade. NEDU's work relies heavily on the Ocean Simulation Facility (OSF), which is the largest and most sophisticated hyperbaric facility in the world. Built in 1971, the chamber complex consists of a wet chamber and five interconnected dry living/working chambers that can simulate ocean conditions to depths equivalent to 2,250 feet of seawater and altitudes up to 150,000 feet. The complex also accommodates complex man-machine testing. NEDU conducts two to three SAT dives a year in the OSF as part of its mission to maintain the Navy's SAT diving capability. The dives can last up to 30 days and cost as much as $750,000. Scientists such as Doolette say NEDU's diving culture enables them to do research that other institutions can't. "We're one of the few facilities in the world that can take an experiment all the way to DCS," Doolette said. "Almost everyone else looks at VGE [venous gas emboli] as an outcome measure." Although most research organizations find it increasingly unacceptable to bend people, the hard endpoint makes decompression studies more valuable. "Divers here say, ‘Yes, I'll do it,' because their buddies are out there at the tip of the spear," Doolette said. prepare to leave the surface. NEDU divers must give their informed consent to participate in a given experiment, each of which is carefully reviewed by a federally mandated institutional review board to ensure it meets ethical standards for human subject research. There is no coercion. The unit's 50 enlisted divers aren't the only ones to man up; every diver participates. "I volunteer, and so does the CO [Commanding Officer] and the XO," said Command Master Chief Louis Deflice, a Master Diver who is third in command and completing his second tour of duty at NEDU. He originally came in 1997 as an enlisted SAT diver. "We believe in our divers and wouldn't ask them to do dives that we wouldn't do. It's an opportunity to give something back." No doubt this democratization of science contributes to NEDU's compelling sense of team. Many individuals say that they consider it a family. "Suppose you were performing a SAT dive and locked out of a warm subsea platform on a rebreather at 1,000 feet in near-freezing water," said Vince Ferris, a department head who oversees NEDU's unmanned test facility. He is testing the variability of temperature compensation circuits in oxygen sensors, which determine how much oxygen (O2) is added to a rebreather's breathing loop. A 1 percent overshoot at 200 feet is no big deal, but at 1,000 feet it would be deadly. His team is also investigating a promising new carbon dioxide (CO2) sensor that uses a polymer sensing film to detect CO2, which unlike existing infrared sensors is impervious to water vapor. The device could greatly improve the safety of rebreather diving. latest project is to determine the efficacy of using Micropore Inc.'s CO2 absorbent cartridges for the MK-16 as well as the fleet's Dräger LAR V oxygen rebreather. Though cartridges haven't caught on with tech divers due to their expense, Ferris, who is a veteran cave and rebreather diver, thinks they offer potential advantages over manually packed scrubbers to military divers. The lab is also in the process of retesting all Navy regulators and helmets to see how they perform in near-freezing fresh water. As a result of two diving fatalities, they recently discovered that a regulator that performs in 29°F salt water can freeze up in 34°F fresh water. Ferris' list goes on. Respiratory physiologists Dan Warkander, Ph.D., and Barbara Shykoff, Ph.D., both sport divers, have spent the past five to six years examining how humans interact with underwater breathing apparatuses, measuring what combinations of breathing resistance and CO2 can be tolerated. "Our goal has been to get insight into the physiology: what's safe, what's not, what you can do and why," Shykoff said. "The Navy is interested in safety." Warkander has performed critical work designing and testing CO2 scrubber gauge systems, while Shykoff is regarded as the resident expert on whole-body or pulmonary oxygen toxicity. Late last year Shykoff published a new descriptive risk model for rebreather diving meant to replace the familiar but outdated oxygen tolerance unit (OTU) model taught in nitrox and tech classes. The problem? "We've been trying to describe oxygen toxicity as a single phenomenon, but it represents different phenomena depending on the PO2 [partial pressure of oxygen]," she explained. "The OTU model also includes no provision for recovery" (resuming diving after metabolizing the excess oxygen). John Florian, Ph.D., another researcher who specializes in warfighter performance, discovered a new form of whole-body oxygen toxicity shortly after his arrival at NEDU in 2008. Special Operations Forces (SOF) were anecdotally reporting excessive fatigue following six-hour hyperoxic swims on oxygen rebreathers. Florian conducted experiments and found that divers were suffering from a severe decrement in performance in their muscular and cardiovascular systems. Florian's team is now working to understand the underlying physiological mechanisms and come up with prescriptive solutions. "Warfighters can be sick and cold and will gut it out. That's the SOF culture, but they don't have to do that," he said. "We want to give them an advantage so they can arrive with a 0 percent decrement and focus on their task instead of gutting it out." They are also investigating the body's thermal protection system in hopes of better understanding underwater thermal physiology. He is looking at the basic mechanism of heat exchange, where the body gains or loses heat in different water temperatures, how much heat is required and where it is required. For example, Florian said that applying heat in the wrong places can actually lower a diver's core temperature. Their goal is to keep free-swimming divers warm with minimum bulk and/or power consumption. NEDU has tested several active thermal protective systems that are in development. Gerth (foreground) and Doolette evaluate an experimental decompression schedule. Gerth and his team continue to refine our understanding of decompression management. In addition to the recent trimix experiment, in a 2011 study involving hundreds of dives they debunked the notion that deep stops, generated by bubble models, are effective. They also discovered that a diver's thermal status (e.g., being warm on the bottom and/or cold during decompression) is a risk factor in DCS. Their clue: North Sea data linked the use of hot-water suits with a slight increase in DCS. "We thought it wouldn't make any difference but found that it did," said Gerth, who's considered one of the world's foremost decompression modelers. They are currently examining the efficacy of air breaks — the practice of breathing air for five minutes after every 30 minutes of breathing pure O2 during decompression and in hyperbaric treatment. The practice has never been tested, and it's not known if the pattern of air breaks is optimal or even necessary. The team's main priority, however, is to enable Navy divers to tailor their dive profiles with risk levels appropriate to the operation — i.e., to dial in a specific risk of DCS using probabilistic algorithms. A training dive could be conducted with low risk, while the risk could be increased in a combat situation, enabling divers to get out of the water faster. Eventually they hope to incorporate this capability into dive computers. The MK-16 tables, which are "iso-risk" tables — i.e., every dive has the same 2.3 percent probability of DCS — are the only probabilistic tables currently in use. While a 2.3 percent probability of DCS might seem high, this measurement assumes that the dive profile is pushed to the limit (a square-profile dive) and represents the average risk on a typical Navy table profile. Is what we now know about diving greater, the same or less than what we don't know? John Clarke, Ph.D., NEDU's Scientific Director since 1991, science-fiction author and authority on the human-UBA interface, smiled and answered: "There's a never-ending depth of questions about diving. We're constantly learning and finding out that many of the things we believe are simply not correct." Visit AlertDiver.com/NEDU_milestones for a timeline of important NEDU milestones. For more information about NEDU, watch this short documentary.